Over the past three decades, self storage facilities have sprung up across the UK. They are very popular with both individuals and businesses but what are they, where did they come from and who uses them? In a nutshel l, self storage facility providers rent out secure storage space for other people’s belongings or goods. In most cases, the renter’s possessions are locked inside storage units which only the renter themselves can access. Typically, storage unit rental space is sold on a monthly basis but there are many businesses now offering the flexibility of week-by-week rental and/or the security of a long-term lease. Who Would use a Self Storage Facility? Self Storage is used by both businesses and private individuals. 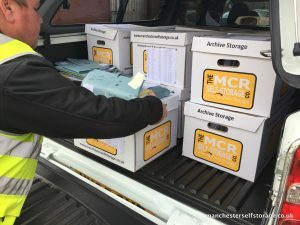 Businesses often find it more economical and secure to store excess stock or important documents in a self storage facility rather than their own premises. 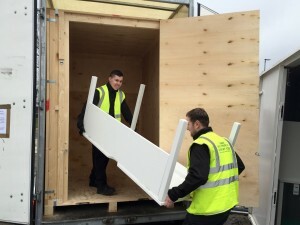 Traditionally, the main non-commercial customers of self storage have been people undergoing big life events such as moving house, downsizing, moving in with a new partner, going traveling or renovating a property. However, the affordability and availability of self storage today has extended these use cases. E-commerce site owners use them to hold their stock, students use them for between-term storage and some homeowners simply use them to help declutter their lives. Where did the Idea of Self-Storage Come From? The idea of self storage may have originated as far back as Ancient China but it was in the United States, during the 1960s, that the modern industry was born. Texas in particular established itself as a hotbed for self storage and the industry boomed in the 1990s. By late 2017, the industry had grown to $38 billion. To visualise the scale, imagine if every roofed US storage facility was brought together in one place. The size of the facility would be the same as three Manhattan Islands! As with every popular industry, competition has led to improvements as firms look to provide more features to woo potential customers. Developments include climate controlled storage facilities, enhanced security measures, free storage periods and mobile self storage. Mobile self storage takes away one of the biggest roadblocks to a stress-free process: self transport. Most people renting a traditional static self storage facility will have to hire a van. This means booking time off work; the pressure of having to load, drive, unload and return the vehicle in the time available; buying fuel; paying for a security deposit and having to navigate an unfamiliar vehicle along unfamiliar roads. Once at the self storage facility, there’s the task of finding your storage unit and unloading all of your possessions (doubling the risk of damaging them). If your unit is on the same level you arrive at, you’re one of the lucky ones as you won’t have to struggle with moving dollies and multi-story lifts! Mobile self storage works differently. You only need to set time aside to actually load the mobile storage units. These are delivered to your home or business ahead of time and collected once you’ve filled them. 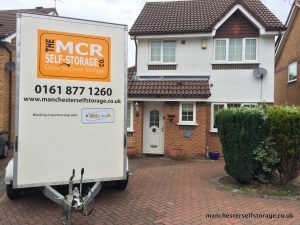 The Manchester Self Storage company offer a professional but friendly mobile self storage service as described above. We will look after your possessions at our clean, dry, alarmed and CCTV-protected facility until you need the goods returned to you. As with any static service, you are welcome to come to the facility at any time (with 24 hour’s notice) to inspect, remove or add items. In this case, we will move your storage unit to a drive-up loading bay for your convenience. 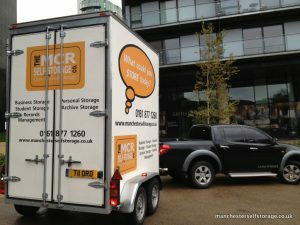 Alternatively, for a small charge, we can re-deliver the unit to your home or business. If this sounds like something that would suit your needs, please call our friendly team on 0161 877 1260 for a free, no-obligation quote or more information.